CLOSEOUTS. 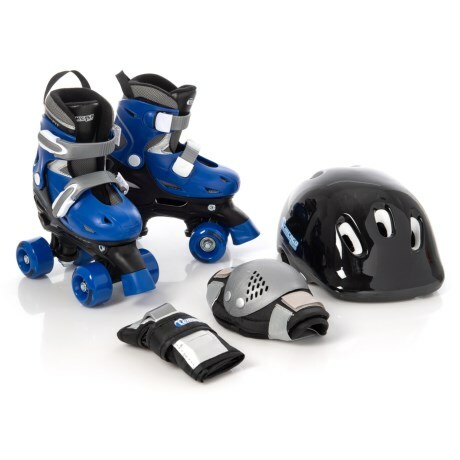 Complete with quad skates, knee pads, wrist guards, and safety helmet this Chicago Skates combo set includes everything your little skater needs for a safe, fun and successful skating experience. Available Colors: BLUE.